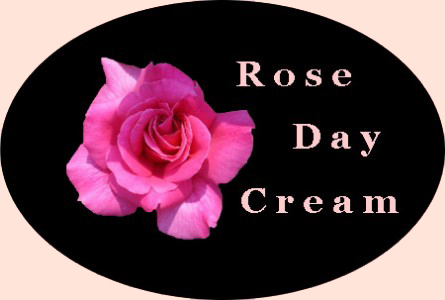 Rose Day Crème Moisturiser - Product Showcase for Natural Skin Care Products from Wildcrafted Herbal Products. Natural skin care product to soothe, nourish and hydrate your skin all day. Wildcrafted's Rose Day Crème is full of the nutrients and hydrating properties your skin needs to protect it from the daily environmental impacts. Your Rose Day Crème works to nurture, protect and hydrate your skin all day long! Wildcrafted Rose Day Crème is a light and gentle moisturiser for Sensitive and Mature skin types. Almond Olive and Jojoba oils provide gentle yet effective moisturising and hydrating properties while essential oils of Rose Maroc Sandalwood combine to calm, nourish and restore a smooth skin tone and texture. Wildcrafted Rose Day Crème should be applied daily, after cleansing and toning for best results. Your skin will feel soft, smooth and renewed with Wildcrafted Rose Day Crème. Topical Articles on skin care and the benefits of using NATURAL skin care products.